The authorities in Yemen said, on Monday 01/28/2013, they have seized a boat in their territorial waters filled with a large quantity of explosives, weapons and money, according to American officials briefed on the interdiction. The officials said that there were indications that Iran was smuggling the military contraband to insurgents inside Yemen, although they declined to provide details. The crew of the USS Farragut, a Naval destroyer, was working with Yemeni authorities when they spotted the vessel, said an official in the Obama administration. Yemeni security forces halted and searched the sailboat, a 130-foot dhow, on Tuesday 01/22/2013, and found the weapons in three large cargo rooms in the hold, according to reports on the mission reaching Washington. There was American support for the interdiction, officials said. 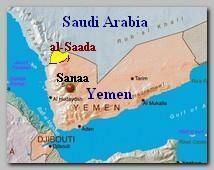 The government of Yemen confirmed the seizure Monday in an official statement. The captured weapons included surface-to-air missiles used to shoot down civilian and military aircraft, C4 military-grade explosives, 122-millimeter shells, rocket-propelled grenades and bomb-making equipment, including electronic circuits, remote triggers and other hand-held explosives, the statement said (see also – Weapons ship – Mahan1). If the weapons turn out to include the Iranian-made Misagh-2 surface-to-air missile, as cited in the reports from Yemen, it would reflect a significant increase in lethality for the insurgents. Yemen is already awash with small arms and explosives acquired over years of war and insurgency, much of it brought in from a number of foreign sources through its poorly controlled ports. There has been little effort to regulate the supply — one governor of a northern province is also a major arms dealer — and insurgents have often raided the stores of Yemen’s corrupt and divided military. Many of Yemen’s unruly tribes command powerful arsenals. American officials said the weapons on board were made in Iran, and that the pattern of the shipment matched past instances of suspected Iranian smuggling into Yemen. Officials described the smuggling as part of a plan by Iran to increase its political outreach to rebels and other political figures in Yemen. To identify with greater certainty the source of the weapons, the boat’s navigation instruments will most likely be examined to determine its origin and route, and the crew will be questioned. For years, Yemen has accused Iran of supporting the Houthi Saada Rebels, But after the uprising in Yemen in 2011, the Houthi movement expanded from its base in the northwest — now a de facto Houthi statelet — across the country. It has benefited from widespread dissatisfaction with both Yemen’s government and the local equivalent of the Muslims Brotherhood, known as Islah.